If you’re on the road, at an airport, or just in a rush, you probably feel there is no choice but to stop at a fast food joint. But even if you attempt to order healthy by picking seemingly low-calorie foods, like a chicken sandwich over a hamburger, you may end up eating as many if not more calories and fat than the “bad” food. So, Armed with better information, you can eat fast food; just choosing the healthiest dish. To help you do the same, check this list for some fast food with low calories. 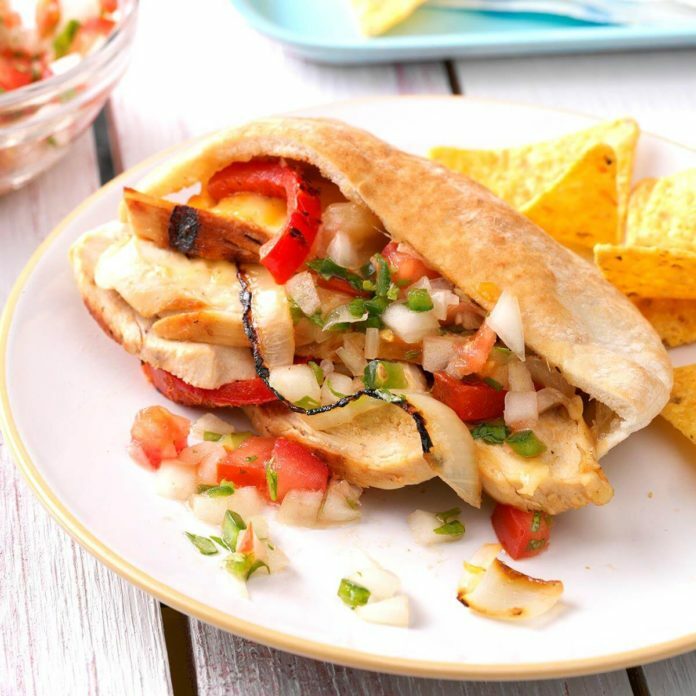 Jack in the Box’s Chicken Fajita Pita features grilled chicken pieces, shredded cheddar cheese, lettuce, grilled onions, and tomato, nestled inside of a pita with 16 grams of whole grain. Fire-roasted salsa comes on the side. And all that comes accompanied of an amazingly cheap price! A definite must in this list of fast food items.